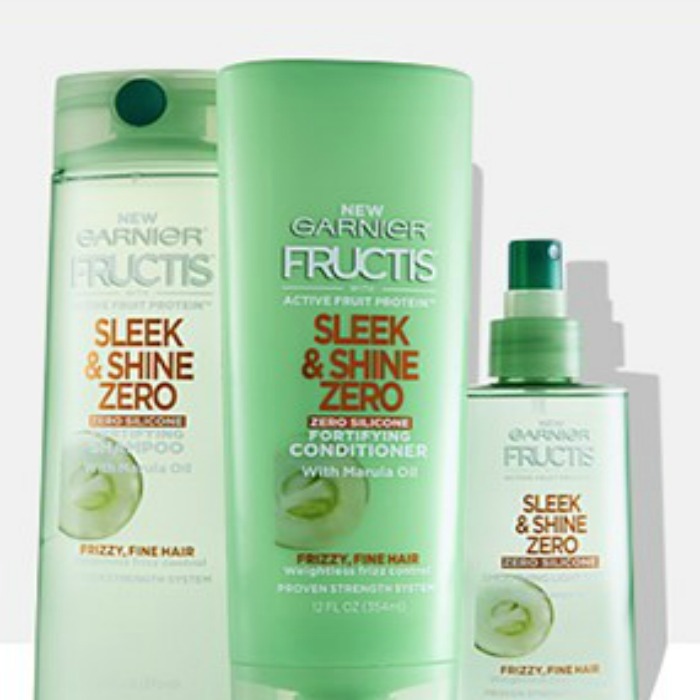 FREE Garnier Fructis Sleek & Shine Zero Shampoo, Conditioner, And Leave-In Treatment Sample! You are here: Home / FREEbies / FREE Garnier Fructis Sleek & Shine Zero Shampoo, Conditioner, And Leave-In Treatment Sample! Who doesn’t love FREE?! Grab this FREE sample of Garnier Fructis Sleek & Shine Zero Shampoo, Conditioner and Leave-In Treatment before they’re all gone! Be sure to check out my simple way of filling out forms faster!